This error appears when attempting to expand a folder in Outlook. This error appears when sharing a mailbox but Folder visible is not ticked. Right-click on the mailbox and select Properties. 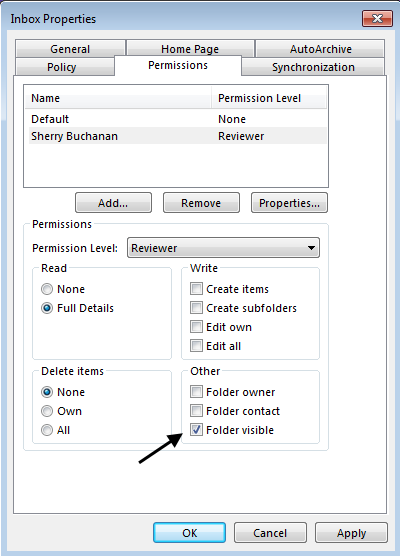 Highlight the person the mailbox is being shared with and tick Folder visible.